Jules Epstein, a man whose drive, avidity, and personality have, for sixty-eight years, been a force to be reckoned with, is undergoing a metamorphosis. In the wake of his parents' deaths, his divorce from a thirty-year marriage, and his retirement from the New York legal firm where he was a partner, he begins shedding the possessions he spent a lifetime accumulating - a watch here, an Old Master there - and becomes elusive, distant. Resolving to do something to commemorate his parents, he travels to Tel Aviv and checks into the Hilton. Meanwhile, a novelist leaves her husband and children behind in Brooklyn and arrives at the same hotel, hoping that the view of the pool she used to dive into on childhood holidays will unlock her writer's block. 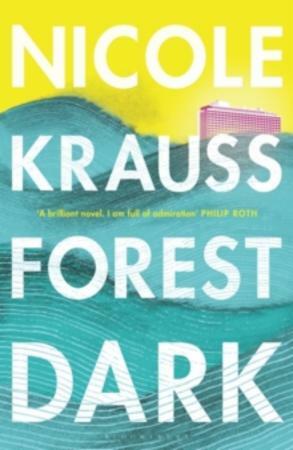 But when a retired professor of literature recruits her for a project involving Kafka, she is drawn into a mystery that will take her on a metaphysical journey and change her in ways she could never have imagined. 12:56, 12. februar 2019 Ingen har det som favoritt. Some of us are touched too much, and some too little: it is the balance that seems impossible to get right, and the lack of which unravels most relationships.